Dove Original Beauty Bar - remains a favorite through and through! I grew up with Dove always in the house, and by habit I have been using this bar for close for 20 years, and I can tell. My skin always feels soft and nourished, regardless of whether I immediately apply moisturizing cream after a bath or shower. I have very dry sensitive skin, so fove soap works perfectly and it smells amazing. Dove soap it's a yes for me! My mother used the dove bar when I was going growing up and as I’v become older I’v been drawn to the Dove brand myself. It clearly shows the consistency of the brand always leaving a fresh, clean, soft and smooth face. I’v been starting using it on my entire body!! Absolutely amazing!!! Simply love using dove soap, no need to lotions, my skin feels moisturized wholeday and has a clean soft smell, il continue using it and recommend anyone to buy it. Great product!!! Before I started using this product my face had many blemishes and pimples, someone recommended it to me and I saw results within a week of me using it. it is my all time favourite I would definitely recommend it to the next person. i always resort back to it after a hard days work or a day in the sun. I use it everyday just love the feeling if my skin after each wash! This soap has a subtle smell to it and is creamy. It is very mild and can be used on sensitive skin too. 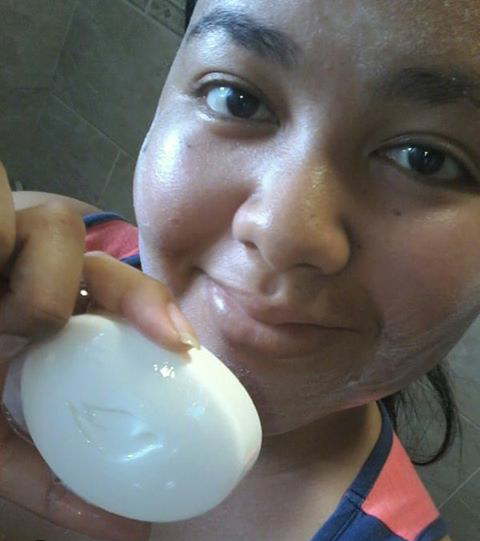 I love my Dove......!gives me soft smooth skin ? 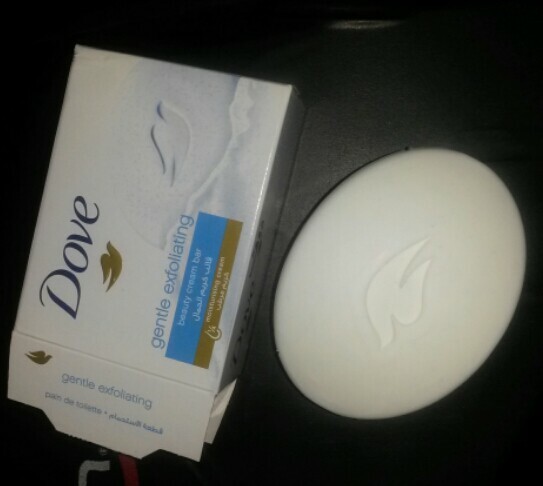 I am a regular user of Dove, and I love the way my skin feelings after using this soap. It's soft and moisturised, and though I will still apply a cream for added moisture, if I skip that step, my skin doesn't feel dry or tight afterwards. It's affordable and lasts. I really like the scent too. I love the Dove bar soap. I've been using them for 5 years now. I have dry skin and they have been my go to moisturizing soap. The product is affordable and easily accessible. The down side is that it does not last long. I love that it is creamy/soft and gentle on the skin, can be used on body and face and it is really inexpensive. i know a woman who washes her face with it as her DERMATOLOGIST told her to - although I would not go that far perhaps this is a testament to their product? This is the only soap I’ve been using for the past 3 years now. Completely obsessed with it especially the one infused with coconut oil. It’s very moisturizing and hydrating (and it smells amazing). I do wish it came in a bigger bar considering I use it not only for the face but for the entire body. The only soap that agrees with my body. i have tried so many soaps but i always go back to Dove. it is the only soap that doesn't make my body itch as i have super sensitive skin. Initially, this soap was recommended by my dermatologist when I started Oratane and I have been hooked ever since, It does not strip my face leaving it dry and overly washed but it leaves it clean, soft AND moisturized. This soap is super gentle especially if you have sensitive skin that is also acne prone. I've ditched all face washes and I now stick with Dove. You can never go wrong! And the fact that its cheaper than your regular face washes makes it a bonus, one bar will last for months if you're just using it on your face. 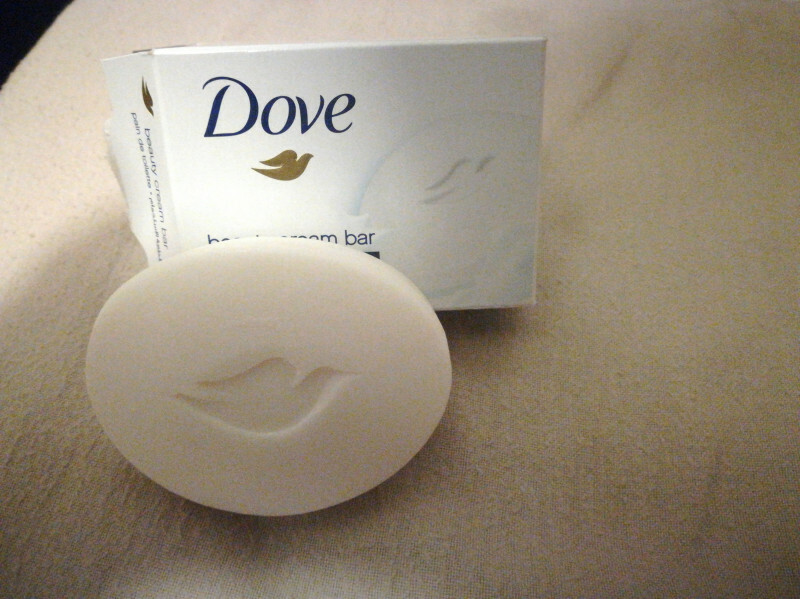 Dove soap bars are a great product that I always seem to return to. The scent is rich and lingers on the skin and it lathers very well. It's one of few soaps which do not dry my skin out which is great in winter. I also love that the packaging isn't plastic but rather cardboard which can be recycled. Although the soap does cost a bit more than the average soap on the shelves, it is well worth it and has a well-earned reputation for being one of the best. My experience with the Dove bar proved to show a difference from the very first wash. My skin appears brighter, clearer and moisturised. My skin tone more even and less noticeable buildup. Using the dove bar boosts my appearance and confidence. It smells heavenly and feels silky smooth. 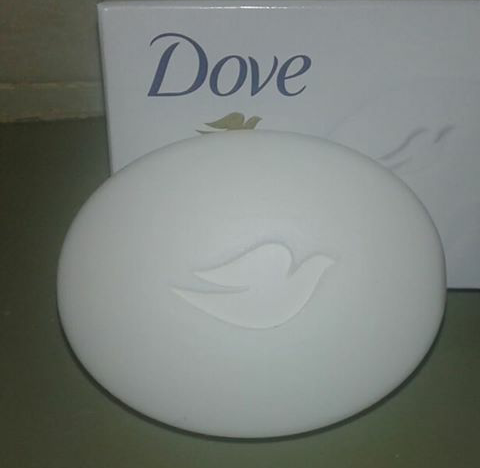 Dove Soap has been viewed as the ultimate moisturising bar soap for as long as I can remember, I recently purchased a bar and it was just that! I like the reliability of the formula; it smells great and leaves the skin feeling soft and smooth. I have very sensitive skin and this beauty bar works perfectly for me. I use it to wash my face daily and as a cleanser to remove my make-up. I used the beauty bar with my facial oil and my day and night cream . The beauty smell very nice and it moisturizers my face, leaving it feeling smoother and looking radiant. This beauty bar is so affordable and the perfect beauty treatment at home. Oh my god! !! Love it !!! 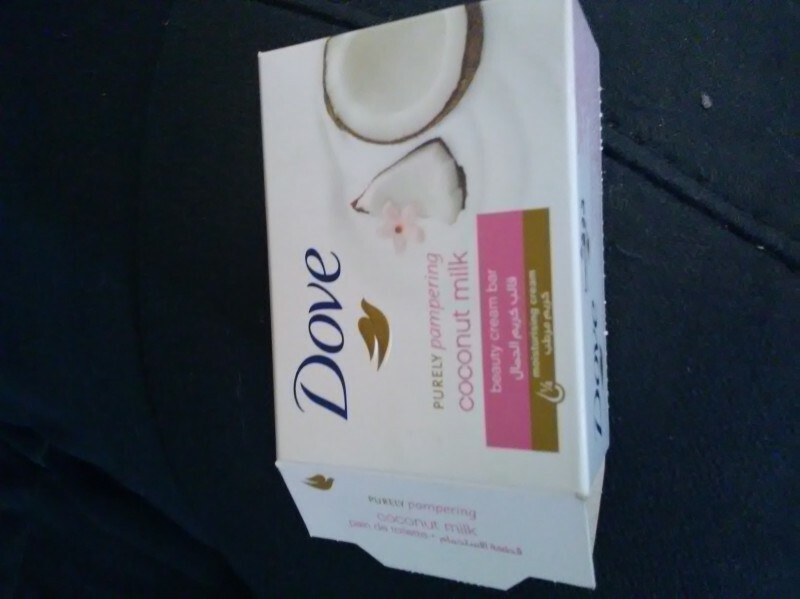 Love everything about it the scent ,the creamy rich texture, the moisture locking at first I thought it was just a lie but when I tried it the first soap that actually work my whole family is hooked on Dove including my 11th month year old baby . I use dove for everything my hair and my face ...I just love the clean fresh subtle fragrance when u come out the shower and the fragrance is not even over powering for my baby...she loves it too...I could tell I guess that is how she recognises her mum too... its an awesome buy..."A must buy guys"
Its great for my skin. I get skin irritations quickly but dove dorsnot irritate my skin, its soft on the skin. I Love all the ranges. I have very sensitive skin so I'm unable to use just any product especially on my face. I've been using the dove beauty bar soup on my face for about a year now and I've never been disappointed. My face stays radiant, smooth and soft throughout so I would gladly with utmost confidence recommend it to anyone who wants to see improved results. I started using dove last year when i got pregnant, i thought i would only use it until my baby is born then go back to the old product i was using. but ever since i started using it i fell in love with my skin, my skin stays smooth and moisturised always. am never going back to the old producti used. No matter what face wash I buy, I always go back to this. Definitely the most value for money! It keeps my skin moisturized unlike other soaps that strip it of moisture. Dove equals love in my books, my skin loves it. Having tried all the variants, I'm currently using the DOVE, purely pampering coconut milk beauty cream bar. Firstly and of course naturally, it smells lovely.. Secondly it is made with coconut milk, which is a big win for me as I love anything with coconut in it. Lastly it is highly moisturizing and leaves skin feeling silky soft. This bar soap is amazing. It has left my skin feeling so soft and my dark marks are disappearing slowly. I love it and wouldn't trade it for any other bar soap. Must use for anyone. I just love how my skin feels now. Dove beauty bar is my ultimate go to product I would chose this to any shower gel or face wash, not forgetting that they smell absolutely amazing. 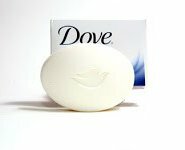 With winter right now Dove is the only form of soap I use because is so dried out from the dry cold air, and when I get out of the shower I never have that dried out skin feel. That I need to cover myself in oil or lotion, the bars are so affordable and one bar goes a long way. It works for all skin types so give it a try for those sensitive skins. I would recommend to all try it as a face wash soap or body wash soap, you wont regret it at all it is amazing. Dove soap is one of the most amazing products for your skin. It keeps the skin moist, soft and it feels so smooth. I would recommend this to everyone man and woman. i took the Dove 7 day challenge two weeks ago, and i can honestly kick myself for not trying it sooner. Initially i was only using the bar on my face, but when i felt the difference, i immediately started using it as my normal bath soap. i have sensitive skin, i normally bath with good old green soap as i tend to get a rash and being 5 months pregnant i constantly feel dry and keep doing the most to try retain moisture. However with the Dove bar my skin felt instantly moisturized and i didn't need to even apply any other oils onto my skin! I have since opted for the Dove spray as well as roll on. If you're looking for a good product this winter, you wont be sorry with Dove. I simply love dove for me Dove is a magic bar it is every thing you need wrapped nicely in one white fresh smelling bar that you can use for the whole family and the best part is you dont break the bank to buy it is very much affordable to the average household.